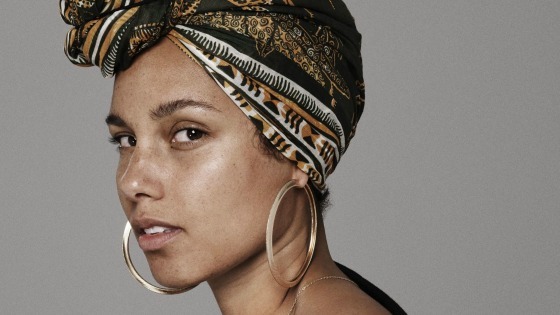 Making the rounds this past month, Alicia Keys ushered in a #NoMakeUpMovement...well, not really, she just stated that she plans to not wear makeup and feels more empowered without it. This isn't problematic at all, but of course, the media has spun it into her saying that she's going to empower women every where with a #NoMakeUpMovement. While I've read think pieces and discussions on the topic, I honestly haven't really weighed in. My personal opinion on the matter is that women should do what they want to do without scrutiny. Whether they wear makeup or not has no effect on me. And more importantly, my voice is really irrelevant in this conversation. I know what you're thinking, "Kami, as a black beauty blogger, your voice is quite important." Yeah, I do blog about beauty topics including hair, makeup, and skin care, but honestly, what value would I add. This isn't meant to sound shallow or vapid, but I benefit from being "traditionally" beautiful. While yes, in the grand scheme of society, being a dark skin black woman is not a privilege, I do have "pretty privilege," or fitting the mainstream definition of beauty. Now, I'm sure you have questions, the first being, "well, don't you have to be white?" Yes and no. While mainstream society's definition of beautiful is white or light skin, those aren't the only qualifiers, nor is it necessary. Body type is another component, such as an hourglass figure and thin, as well as facial symmetry, facial features, and even hairstyle. And at this point, I'm sure I have even more questions. "Ok, well if this is true, can you give me an example?" and "How do you know you benefit?" Ok, first, let me answer the second question. 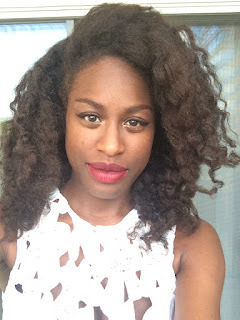 Remember my first Black in America post, The Dark Skin, Long Hair Paradox, where I detail how having long hair results in odd questions about my ethnicity? Now add in that long hair on a woman is seen as beautiful and hairstyle is an indicator of pretty privilege, and you have your first example. I've always had my blackness questioned. To many people, regardless of race, black people are a monolith defined by their interests, education level, and vernacular, instead of geographical ancestral origin. So, I’ve never fit the standard definition of “black.” As a petite, highly educated, Inland Northern American English speaker, who was born and raised in suburbs, I don’t fit the archetypal standard of a black woman…add the length of my hair into the mix, and I’m an anomaly (though I know black woman like me are not rare or even uncommon). Add on my darker skin complexion, and I’m the only known species of my kind in the universe. Also think about curl pattern. How many naturals with 3c or looser curls are featured on natural hair appreciation Instagram pages, Tumblrs, and Facebook pages...now compare that to women with 4c hair. Not so many. That's because society views 4c hair as less attractive than looser curls, and even in the natural hair community, where everyone is supposed to embrace their texture and love their hair, you still see that bias. Another example is weight, and lucky for me, I follow Feminista Jones, who can explain this perfectly. As "woke" as you pretend to be, you still align with the anti-fat bias that everyone in every group perpetuates. Thank you, Feminista Jones! The fact of the matter is being thin awards you a privilege in society, one that is almost automatically tied to beauty, and at a size 2, one I need to acknowledge. All of this perfectly segues into the first question, examples of how black women, while still being black, can embody pretty privilege. Think of the most beautiful and successful black women in society. Not the ones you think qualify, but the ones on the cover of Vogue or Cosmo magazine. Women like Beyoncé, Naomi Campbell, Misty Copeland, Zoe Saldana, Alicia Keys...I can keep going, but you get the idea. Now, think of famous black women who are always dragged in the media for their looks...I'm not going to name them, but I bet you they look nothing like the above mentioned. And what's the difference between them? Hair, weight, facial features? Exactly. Whether I wear makeup or not isn't really the issue. It's that, unlike some women, I am not chastised for not wearing makeup. I don't have severe acne or discoloration, my nose is thinner than as stereotyped, and I have eyebrows that don't really need to be filled in. I don't have to worry about being the victim in a "before and after makeup" meme where people trash the before picture and claim I am being deceitful. And neither does Alicia Keys, but there are women who do. The decision to wear makeup or not wear makeup is personal, but promoting a #NoMakeUpMovement, while refusing to acknowledge the vitrol that some women face when they don't wear makeup, is not beneficial, nor does it promote self-love.